Atlas Thermal System is a renowned manufacturer of high quality Glycol Chiller at competitively price in India. These Glycol Chillers are widely used in restaurants, micro breweries, fermentation processes, bars, and are required for producing a cold mixture by blending water. These are also called microbreweries chillers. We design the chillers by using the condenser, digital thermostat, Procon pump, GI bath, compressor and evaporator coil. These Chillers are specially designed to support cooling needs and widely used in cold storage and cold chilling the juice. The main advantage of Glycol Chiller is that it require less maintenance for long working life. We are one of the leading glycol chillers suppliers in India. Our glycol chillers are supplied all over country including Delhi, Bangalore, Mumbai, Ahmedabad, Hyderabad, Goa, Chennai, Jaipur, Coimbatore, Pune, Kolkata and other cities. We are regarded as one of the most reckoned glycol chiller manufacturers in India. We have supply and service network across the country with major cities such as New Delhi, Mumbai, Bangalore, Hyderabad, Chennai, Pune, Ahmedabad, Kolkata etc. We undertake repair and maintenance of glycol chillers. We have our network all over India. We manufacture our products under extreme quality process and perform the quality checks at regular intervals of manufacturing. Atlas Thermal Systems has state-of-the-art infrastructure that enables us handling bulk requirements. 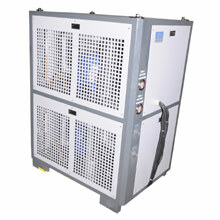 We manufacture optimum quality glycol chillers for industries. Our chillers are largely appreciated by our clients for its unique qualities like efficiency, durability, long life and less maintenance. We supply our glycol chillers to country's leading pharmaceuticals, laboratories, fermentation plants, ice plants, large, medium and microbreweries etc. Atlas Therma Systems is considered as one of the most reckoned glycol chiller suppliers in India. Copyright 2013 Atlas Thermal Systems. All Right Reserved.